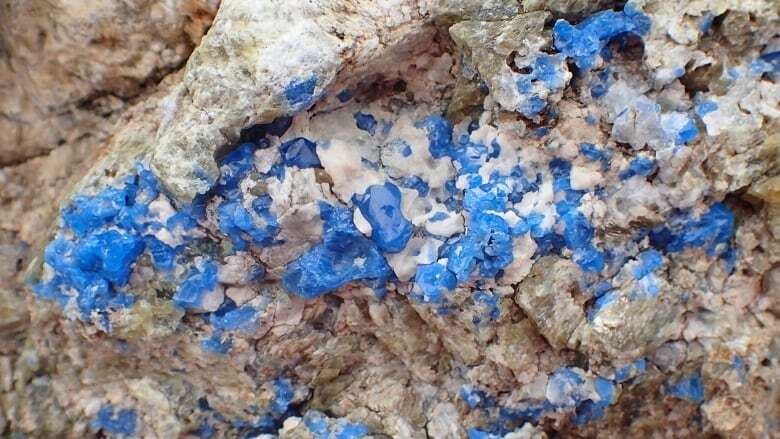 A new study from the University of British Columbia finds cobalt-blue spinel, a mineral prized by jewellers and collectors, on Baffin Island. Study co-author Philippe Belley said in an interview that cobalt-blue spinel, "which is a ridiculously rare gemstone" gets a lot of interest from gemologists and jewellers but there's not enough supply. The most significant source of the gems is Vietnam, and even then production is limited, said Belley, who's a PhD graduate within the department of earth, ocean and atmospheric sciences. Baffin Island is "really unique" because it has all the "right ingredients" needed to produce coloured gemstones but the area is "virtually" unexplored, Belley said. "The rock is extremely well exposed so not only is it easy to see if you have a gem occurrence by just walking on the surface and doing geological mapping, but its also suitable for remote detection methods using drones and satellites to collect data on the rocks." Using remote detection can't be done in most other gem-producing areas because of plant cover or challenging terrain, Belley said. "It's finding the right chemical components in the right concentration," he said. "We found that most gem occurrences on Baffin Island were formed from the transformation of a mixture of mud and magnesium-rich limestone under high temperature and pressure." Other gems found on Baffin Island include beluga sapphires, used in the Queen's sapphire jubilee brooch, and lapis lazuli, a rock used as a gemstone by the Egyptians, he said. Mining for the gems on Baffin Island wouldn't necessarily leave a large geographical footprint, he said. "Most gemstones are either mined from a relatively small mine and a lot of them are mined by one or a few people or families around the world, which is called artisanal mining."